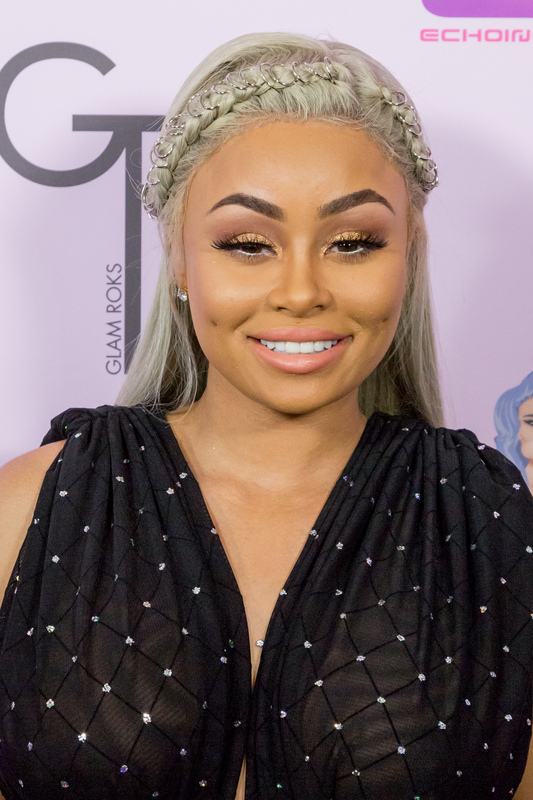 In an epic tale of bad and almost instant social media karma, Blac Chyna tweeted Rob Kardashian's number to her followers. And it's quite a sour and sobering dose of his own medicine, given the fact that the did the same to his unsuspecting sister, Kylie Jenner, just days ago. Before you jump to any crazy conclusions, Chyna didn't expose his personal information to avenge Jenner or anything of the sort. No, as per her Snapchat story, all Chyna did was play him at his own game in order to teach him a very, uh, impassioned lesson. Before you question anything, yes, it was his real number, according to E! News. (Bustle has reached out to reps for Chyna and Kardashian for comment on the story.) And, no, the mother-to-be was not pulling any punches. In an impossibly sarcastic Snapchat video, Chyna suggested, in her best infomercial tone, "To ensure that your man is not texting no b*tches, just tweet his number out." You know, if informercials were both tense and aggressive. In an even more wild turn of events, she revealed Kardashian, who was standing next to her and not so coincidentally on his phone, and asked, "How's that feel Rob?" Rob offered a decidedly unhappy chuckle and assured her, "It's good." Seemingly satisfied with his answer, Chyna then said, "Get your number changed," and then punctuated the video with a calm, "Thank you." As you can see, the vibe of the video has a more serious undertone, but fluctuates between being both snarky and humorous. And while the betrothed couple doesn't seem to be each other's biggest fans at the moment, it is clear that they're cool enough with one another to be in the same room and to appear in the same Snapchat video. Especially, if the follow up Snapchat video where Chyna addresses said "b*tches" is any indication. Why? Because Kardashian can be heard, laughing in the background as she assures the women texting him that she and Kardashian are "good." So, I guess we can assume that everything is OK in Rob and Chyna land... ish.